It has been reported that Th2 cytokines down-regulate antitumor immunity, while activation of type 1 T cell responses promotes antitumor immunity. However, detailed information on the immunological background of patients with HCC is still unknown. The objectives of this study were to evaluate the Th1/Th2 balance and to investigate the relation between carcinogenesis and host immunity in patients with chronic hepatitis C, HCV-related liver cirrhosis (LC), or HCC. The study population was 117 patients who had chronic inflammation due to HCV infection diagnosed from pathological examination of liver biopsy specimens, including 32 patients who had HCV-related LC with HCC. Apart from the patients with HCC, they were divided into the four subgroups based on the fibrosis score of Desment (stages 1–4). Blood samples were collected in the early morning before treatment. Flow cytometry was used to assess cytoplasmic IFN-gamma and IL-4 expression by peripheral blood CD4+ T cells, and the percentage of IFN-gamma+ and IL4− T cells (Th1) or IFN-gamma- and IL4+ T cells (Th2) was calculated before the start of each therapy. 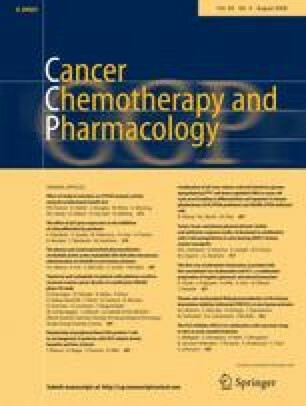 There were 20 patients in F1, 25 patients in F2, 19 patients in F3, 21 patients in F4, and 32 patients with HCC. In the F4 and HCC groups, Th1 cells tended to increase depending on the extent of fibrosis, although there were no significant differences between these groups and the other groups. In the HCC group, Th2 cells showed a significantly higher percentage than in the F1 or F3 groups. These results suggest that Th1 dominance is lost due to an increase of Th2 cells in HCC patients and that carcinogenesis might occur in patients with chronic HCV infection and increased level of Th2 cells.